Gugu Ncube who for a long time has claimed to be the daughter of MDC Vice President Professor Welshman Ncube might find herself in more trouble than what she bargained for when she staged a one person protest on Wednesday at Union buildings South Africa. 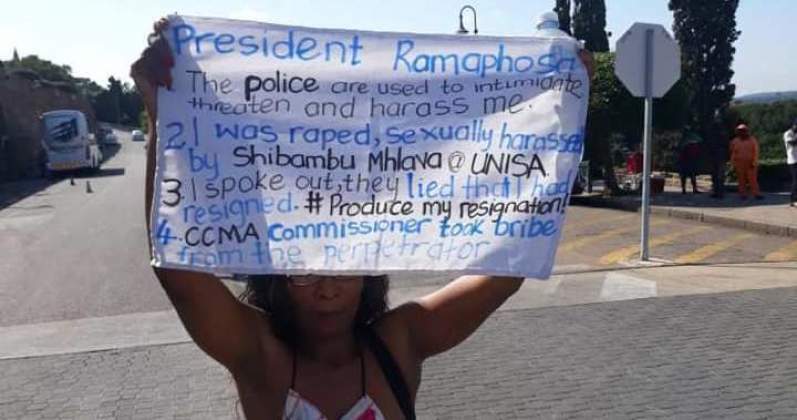 During the protest, Gugu carried a banner alleging sexual abuse she suffered at the hands of a superior colleague "Mhlava Edward Shibambu" while working at the University of South Africa (Unisa). On Thursday Shibambu issued a statement disputing the accusation and announcing that he reported Gugu to the police for defamation of character in 2018. "Due to the seriousness of the allegations, I… reported the matter to the law enforcement agencies, the South Africa Police Services under case number 594/8/2018. I then reported a case of fraud for fabricated senses that she is circulating and defamation of character by Ms Ncube. "I am of the view that Ms Ncube needs medical assistance because I am not the only one she has falsely implicated for wrong doings in this manner." Professor Welshman Ncube has distanced himself from Gugu with those close to him saying he tells them she is a daughter to one Lot Ncube who is allegedly a distance relative of him that he has never seen. Gugu has on numerous occasions published open letters to Prof. Ncube where she invites the veteran politician for DNA tests. 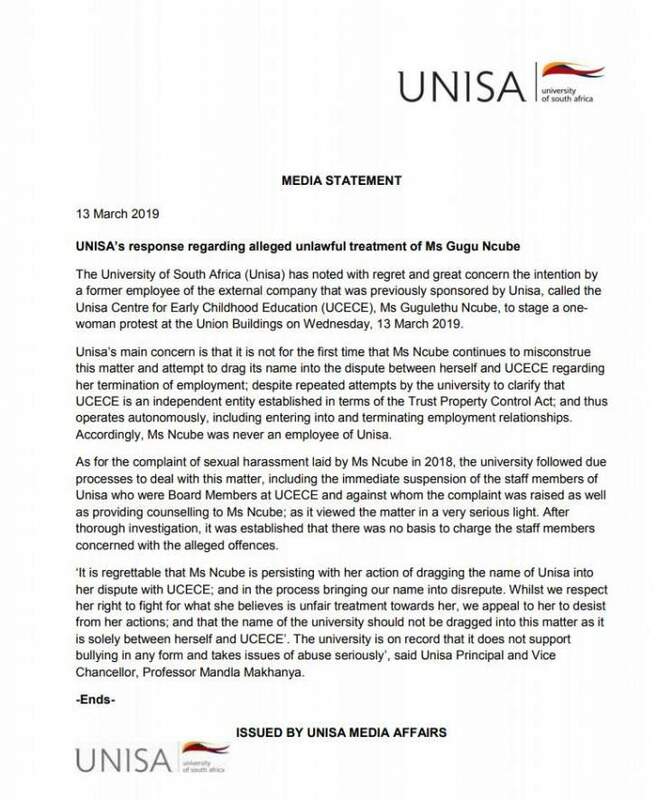 The University of South Africa has also issued a statement regarding Gugu's allegations. Commenting on the matter the General Secretary of the Zimbabwe Communist Party and former Prof. Ncube's political ally said, "have received numerous requests to comment on Gugu Ncube. Here is my comment; any alleged sexual harassment and alleged unfair dismissal from work must be investigated by relevant bodies without any fear or favour. On the question of whether she is the daughter of Prof Welshman Ncube the MDC Vice President , l think this should be addressed by both Prof Ncube and Gugu as l consider this a private family matter."